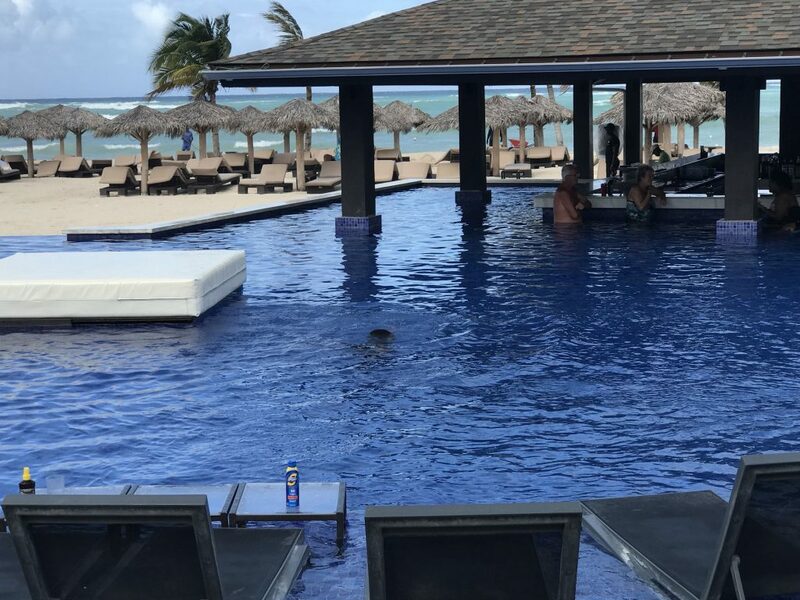 My little munchkin turned all of 8 years old in January and we wrapped up her birthday celebrations at the Royalton Montego Bay. This was a momentous birthday celebration for her because her little brother who hasn’t been to Jamaica since they were both babies came to share in the festivities. They were attached at the side every second of the day and between the games and the fights it was exhausting to keep up! 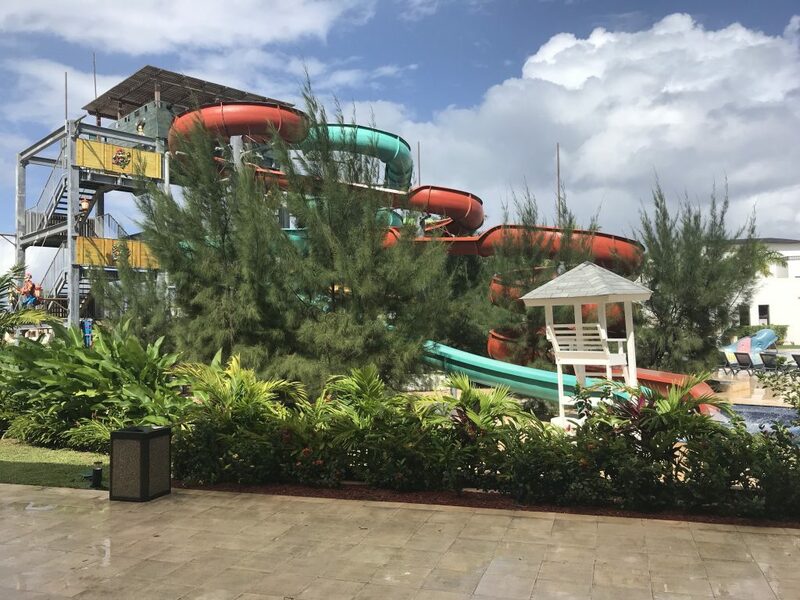 I’m so happy that we decided on the Royalton Blue Waters Montego Bay because it was the perfect place to allow them to just be and have fun while the parents got a chance to relax on a beautiful property with enough adult amenities for us to enjoy ourselves as well. I received an emailer from a travel agent announcing some discounts for the season, which I gather is quite rare seeing that January is peak tourist season. I immediately decided that this is what we were doing instead of throwing a party for muchkin’s eighth. Unfortunately for the travel agent, they tried to sell me on a 2-night minimum in-order to book with the Royalton and I was pretty bummed for a minute as we could only do one night. By this time, I had gone through the list of discounted hotels and my heart was set on the Royalton. They boasted a huge waterpark that I knew would keep the kids entertained plus other adult entertainment options for myself. Then the savvy traveller in me called up the hotel directly and asked for the rate for one night. I Was able to get my same discounted rate for only one night, bypassing the travel agent who had promised to find me a one night deal elsewhere. I still have not heard from said travel agent, so it definitely pays to d the work yourself. 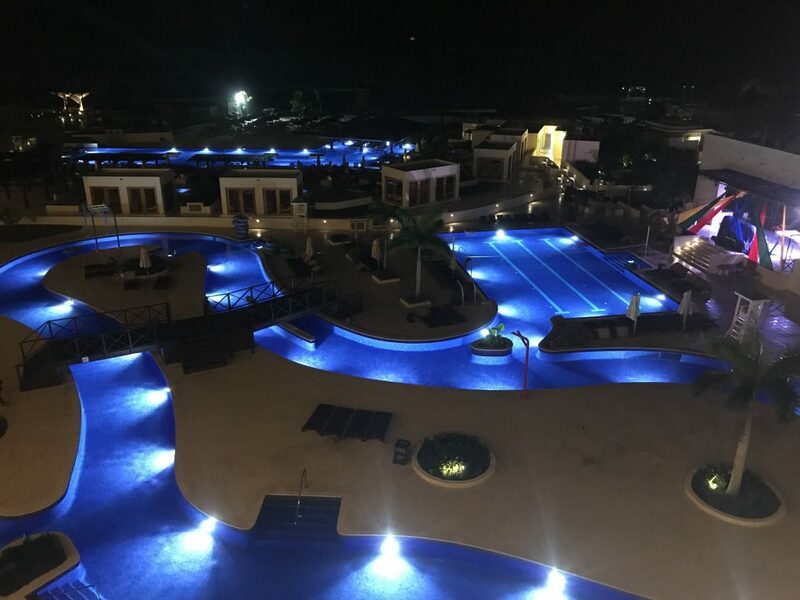 Thankfully, the little information that I did receive from the travel agent was to book Blue Waters instead of White Sands because Blue Waters was the luxury side f the property. It was not that much difference in price and so I decided to splurge and I was happy I did. 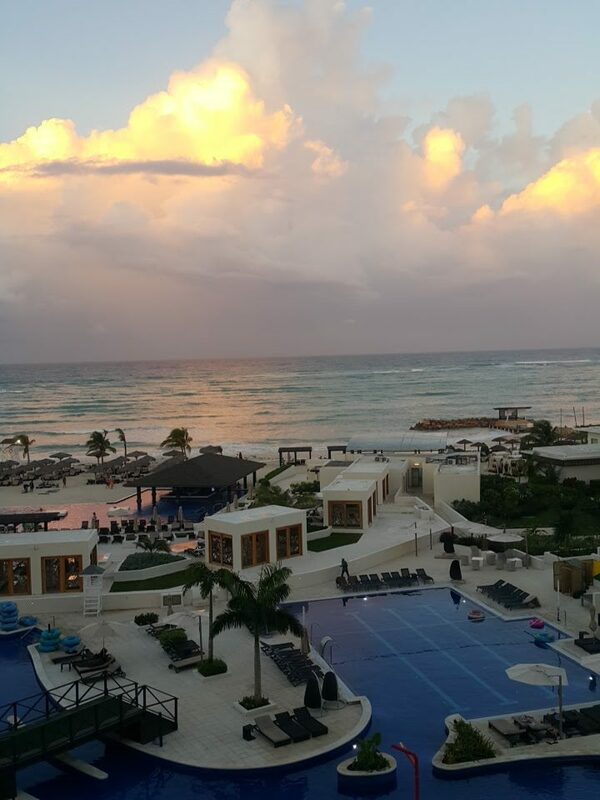 The Royalton is an all-inclusive luxury resort and the room did not disappoint. One of the perks of being on the luxury side of the hotel is that all rooms are ocean-front and so the view is astounding. Here’s a mini-walkthrough of the room to the balcony. The swim-up bar with the beach just beyond. The water was quite rough when we visited but that only made it more fun for the kids. You can see them frolicking in the video below. When I arrived I realised that we forgot to pack munchkin’s swimsuit, epic fail! I truly didn’t want to venture into the gift shop because I was expecting ridiculous touristy prices for a simple swimsuit. I gave munchkin my swimsuit to wear and figured I’d stay out the water for the weekend. No biggie to me. However the look of adventure in the waterpark got the best of me and I had to get in on a bit of the action so I went to take a peek. To my surprise, I stumbled upon a good array of swimsuits that were all reasonably priced, as far as hotel prices go, and even saw the Cedella Bob Marley line of suits. Unfortunately the one I really wanted did a poor job of covering my triple D boobies and so I went for a simpler plus-size swimsuit design that was available. I was also quite pleased with the number of restaurants available to choose from as opposed to the main buffet. Lots of all-inclusive resorts have a limited amount of full-service restaurants and so require you to reserve a table however the only restaurant requiring a reservation at the Royalton was the sushi spot. We dined at the steakhouse and it was an interesting experience with kids! I do wish our server was a little more attentive but the jazz singer out at the martini bar made for lovely entertainment. I did quite enjoy their buffet options, we went there for lunch. I liked that the food was flavourful as some hotels are a little bland to try and cover all palettes. The variety was also plenty. For breakfast, we ordered room service by selecting options on the TV inside our room! That was awesome. It was quick and easy and I love that room service is included at the Royalton! The kitchen promptly called us to confirm our order and offer alternatives to items that were currently out of stock. The following day we decided to ditch the kids for a bit and took them to the kids club for supervised pool activity. I’d recommend keeping an eye out for the number of kids that are there with them and try to only leave them there in the morning. This is because after lunch, they were taken inside the playhouse for games or a movie and I do believe they would have gotten quite bored if we didn’t pick them up promptly after lunch. Who wants to watch a movie when there are slides beckoning just outside? Not I. And not these kids. There were very happy to be rescued and jumped right back into the pool. It works though if you want to make a spa appointment in the morning or take an hour or two off to just chill. Get my bodysuit here and my paisley print shorts with pockets here. 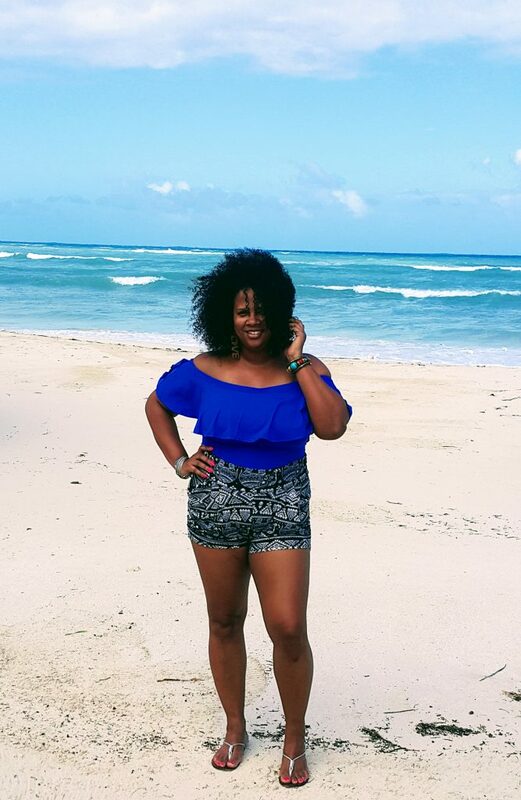 I had a fabulous time at the Royalton and can’t wait to check out Royalton Negril! I definitely recommend this all-inclusive resort for your family vacation to Jamaica. If you’re a fitness buff, you will love the gym at the Royalton though I’m not sure if a similarly equipped gym is available over on the White Sands side. 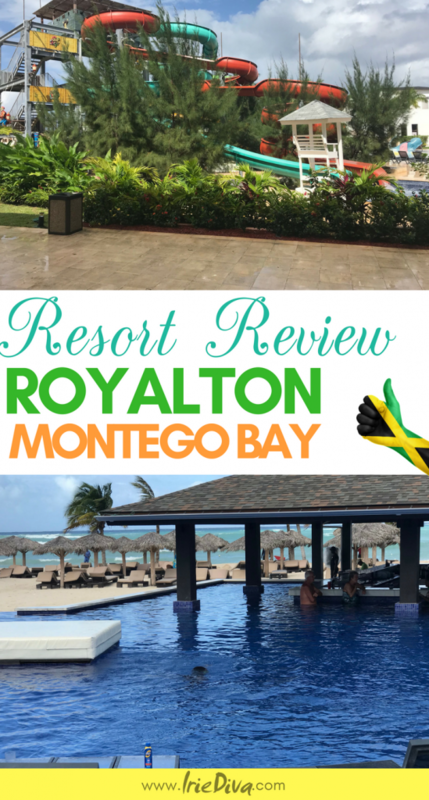 Check out the video below which includes our time at Royalton plus highlights from bowling and family day at another beach in Jamaica all for munchkin’s birthday. The Royalton bit starts at the 5:20 mark.